Woop woop! 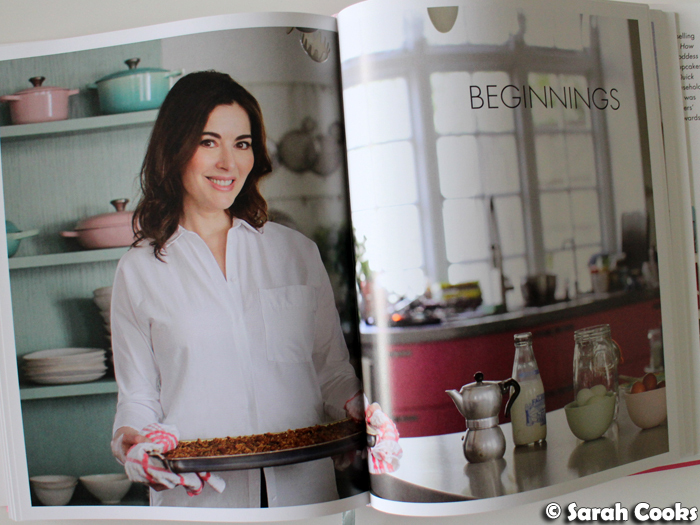 Finally sharing my round up of Nigella's latest book, Simply Nigella! I've really been enjoying the book - the easy and delicious recipes, Nigella's obvious enthusiasm for the whole project, her eye-watering collection of gorgeous Mud Australia ceramics. (Over the past nine years I have allowed myself to buy five pieces from Mud, and that's about as much as I can justify spending!) Nigella's kitchen, and Bill Granger's kitchen, circa 2004, are my dream kitchens! 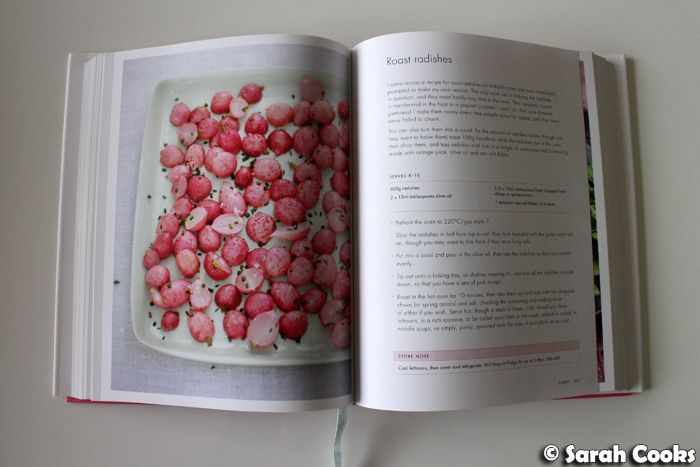 There's no specific theme to the recipes, and is basically just what Nigella enjoys eating at the moment. I was surprised to see a few trend-driven recipes in there - Momofuku-style pork buns, kimchi tacos, 2-ingredient Nutella brownies, avocado toast, and chia pudding, anybody? - but having followed Nigella for ages, I know that nothing would make it into her book if she didn't absolutely love it and think it was worth making. Also, the food writing world has changed significantly since I first got into Nigella, a good twelve years ago, and these days I'm much more likely to find out about a new food trend or ingredient online, before reading about it in a cookbook. There are a few recipes that have absolutely no appeal to me - the rice bowl with huge strips of raw ginger, the Thai noodles with cinnamon and prawns with big chokey shards of cinnamon sticks, or the ridic hearty-looking breakfast bars 2.0 - but overall I'm loving the book. There are a lot of easy weeknight meals in there, a good mix of lighter and more decadent dishes, and I've been cooking from it heaps! 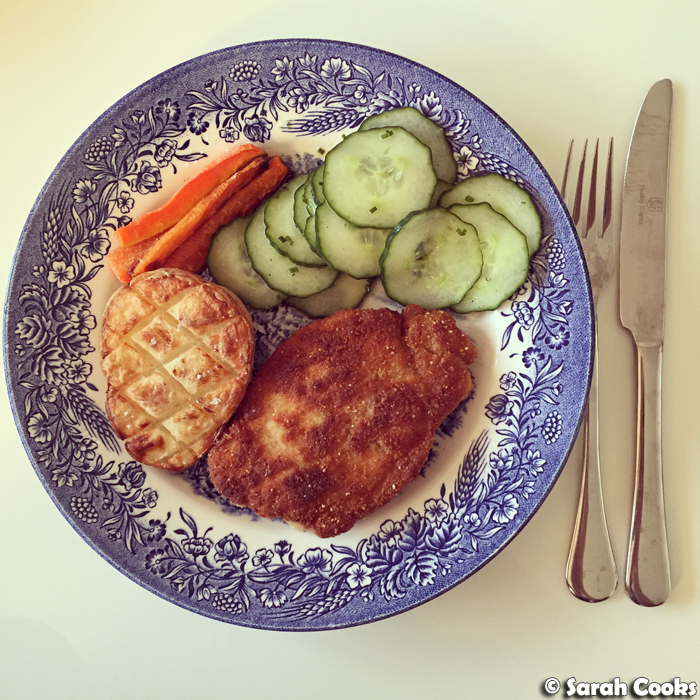 (Check out the #sarahcookssimplynigella tag on Insta). And I've been having lots of fun snapping pictures and sharing them with my friend Clarice, fellow foodie and Nigella devotee. Reminds me of the time Feast came out and all the crazy Nigella fans were sharing their impressions on the now-defunct Nigella.com forum. It was a really fun and tight-knit community! Here's what I've cooked so far, organised by chapter. Let's take a look! 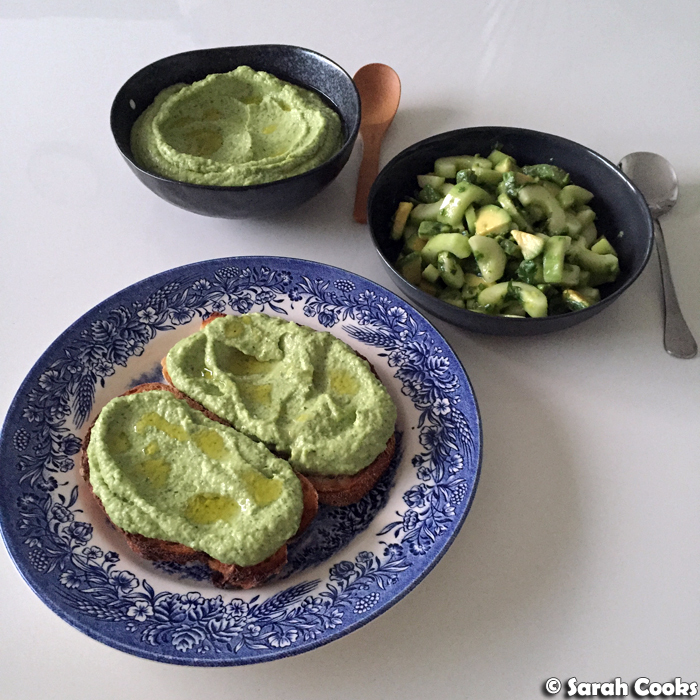 Brocamole is like guacamole, with the addition of cooked broccoli. It is so delicious! I loved it on crunchy toast, and I did try Nigella's suggestion of using it as a dressing for cold noodles, which was lovely as well. You'll also see in this photo I had the brocamole on toast with the cucumber, chilli and avocado salad (from the Sides chapter), which is wonderfully spiky and refreshing. 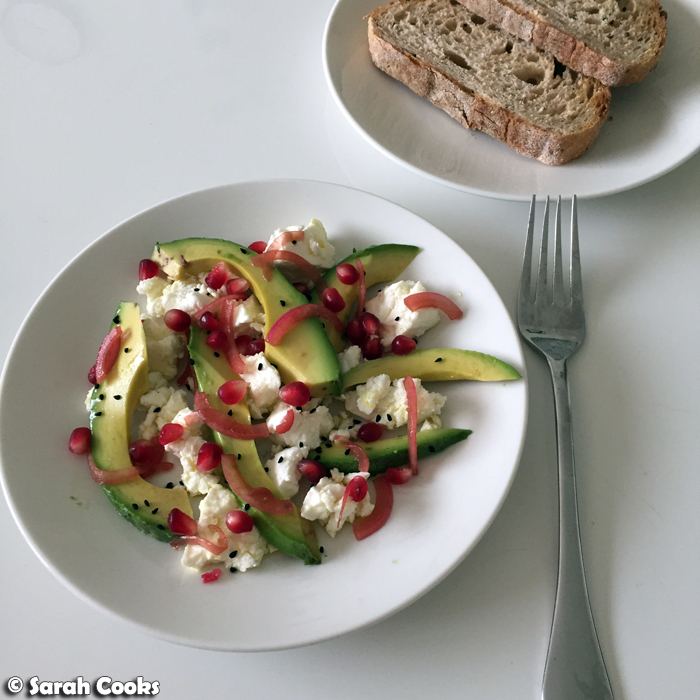 The feta, avocado and pomegranate salad was a nice change to my usual avocado-on-toast breakfast. Pretty and tasty. 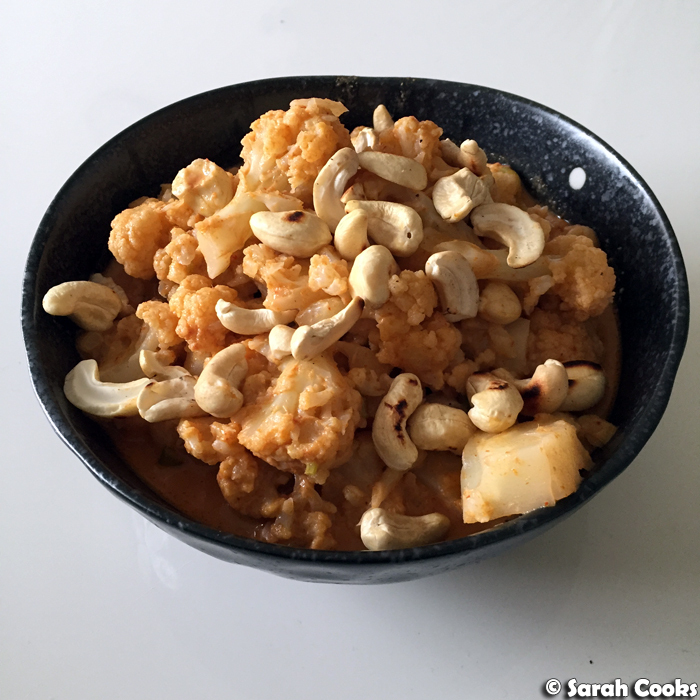 The cashew and cauliflower curry was a nourishing yet light dinner, which we served with rice. 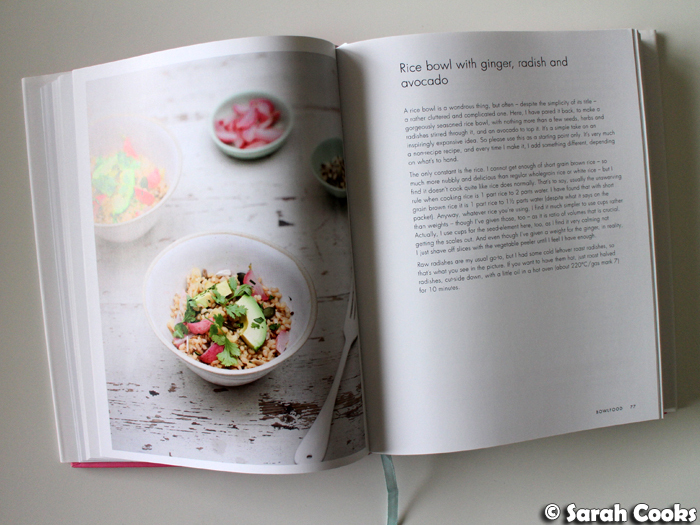 The salmon, avocado, watercress and pumpkin seed salad was actually the first recipe I made from the book, and I loved it! If you follow Nigella on Instagram you'll see that she makes this salad (or variations thereof) very often. 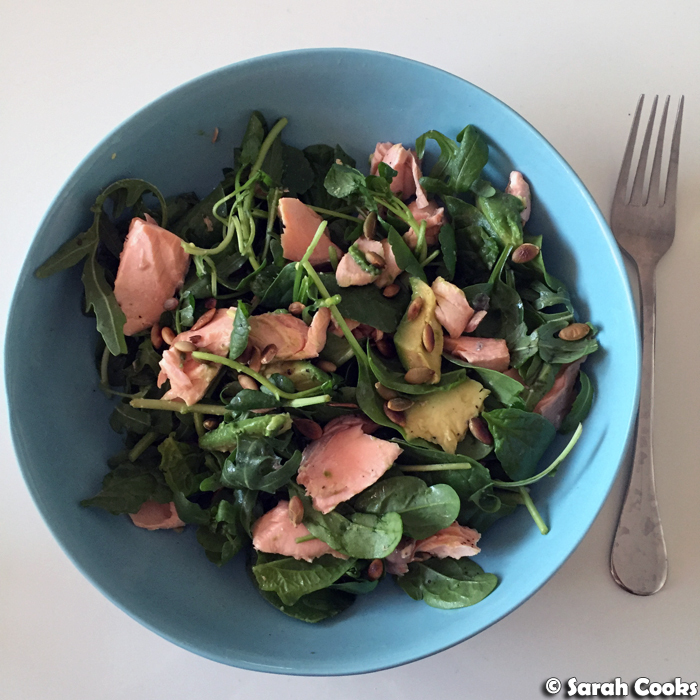 I love the combo of rich avocado and salmon against the peppery watercress and crunchy pumpkin seeds. This mackerel with ginger, soy and lime was one of my favourites! 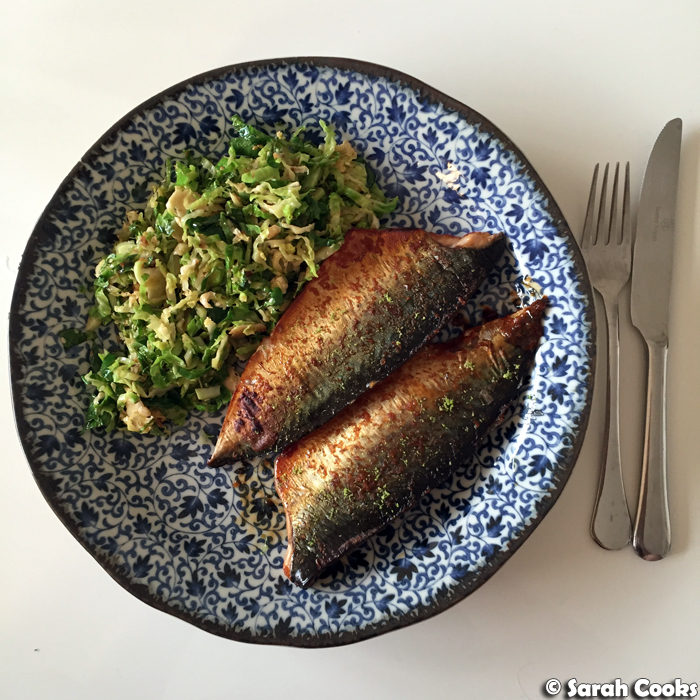 The mackerel fillets are baked at a high heat in a kinda teriyaki-style glaze. If you do make this, you should definitely try the fabulous stir-fried brussels sprouts that Nigella suggests. As a whole meal, it's nutritious, filling, and light. 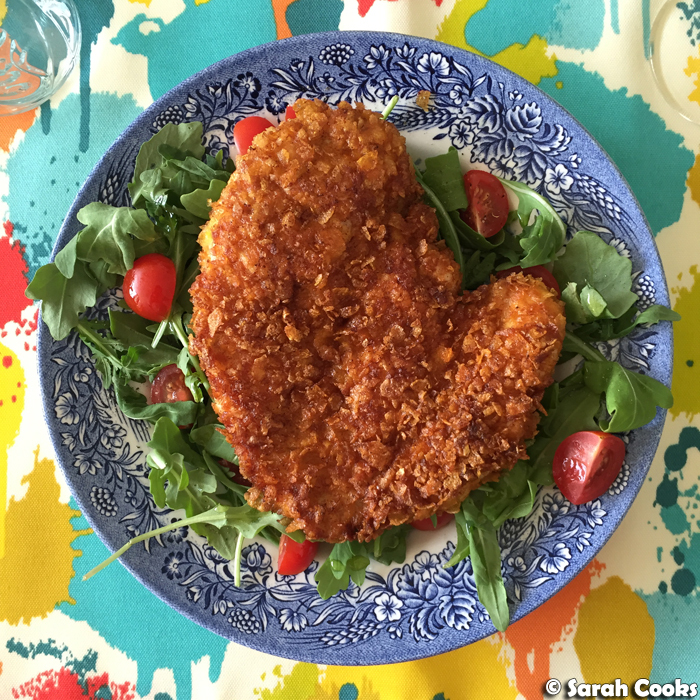 I think Nigella does a mean schnitzel, and these crunchy chicken cutlets are no exception. They're dipped in a mustardy-eggy mixture and cornflake crumbs before being fried, making them tender, tasty and super crunchy. A real winner! (PS the crunchy pork chop from Feast is also divine). 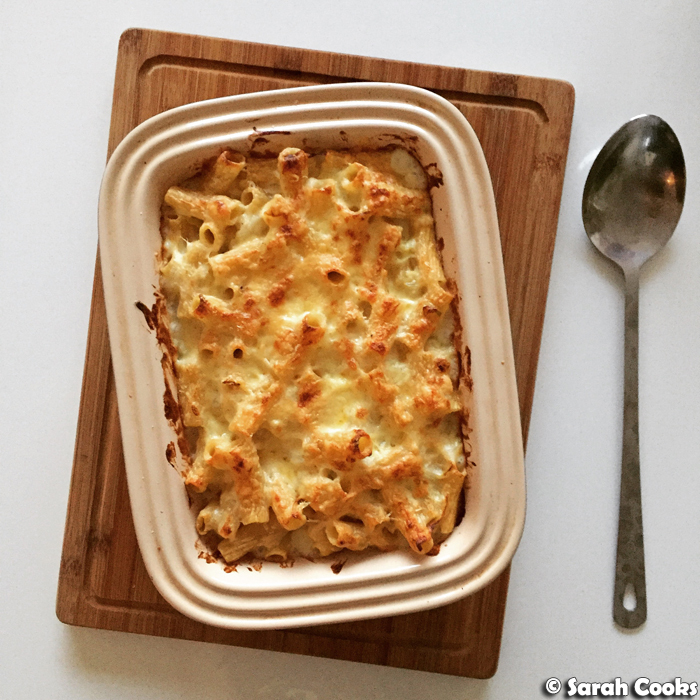 I've made the sweet potato macaroni cheese a few times now - it tastes awesome and is super comforting. 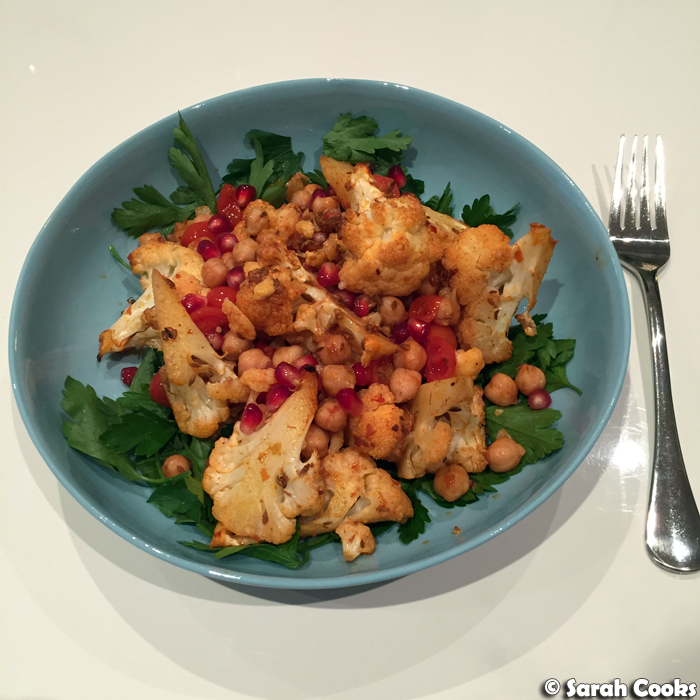 The warm spiced cauliflower and chickpea salad with pomegranate seeds is exotic enough to be different and interesting, but is still nice and comforting with the starchy chickpeas, spicy harissa and sweet pomegranate seeds. Leftovers made an excellent packed lunch over the next few days! 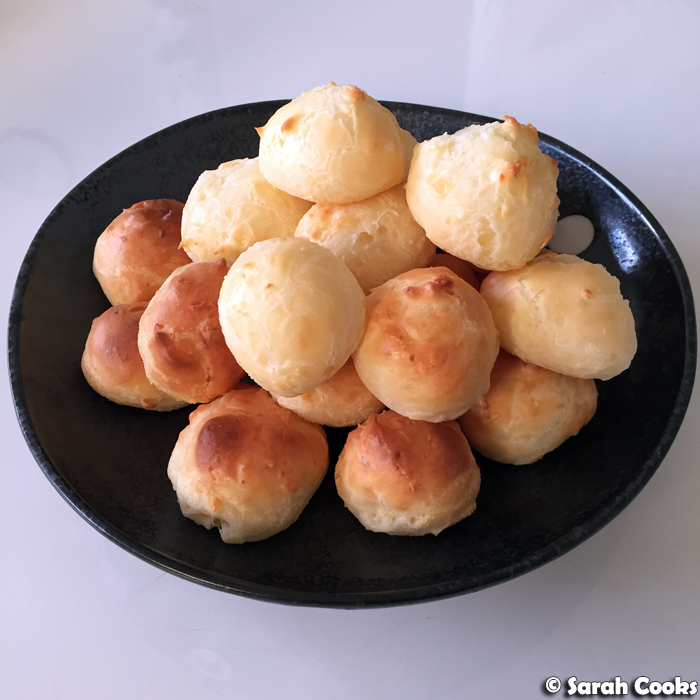 The only thing I've made so far from the Dine chapter is the Brazilian cheese bread, or Pão de queijo. These are crunchy-chewy-cheesy Brazilian balls of deliciousness! The tapioca starch gives the dough a weird texture, kinda like glue or paste, but I think that's normal. And they bake up beautifully! The only thing is that Nigella's recipe uses all Parmesan cheese (I don't think the traditional Minas cheese is widely available outside of Brazil), but a Brazilian chef friend of mine who lives in Australia recommends a mixture of tasty cheddar and haloumi to replicate minas, and I follow his lead. 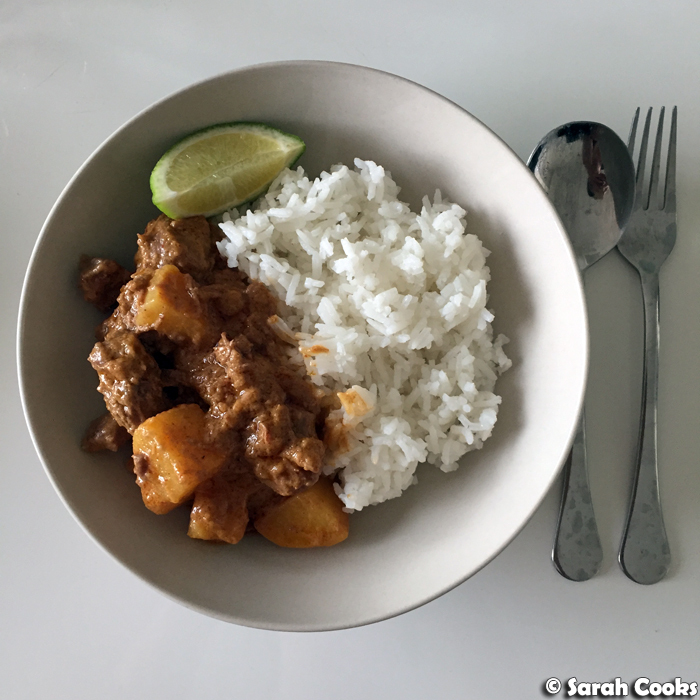 Nothing much to say about the Massaman beef curry - it's a nice beef and potato curry, and as long as you can find a decent Massaman curry paste, you should be able to make this profitably. 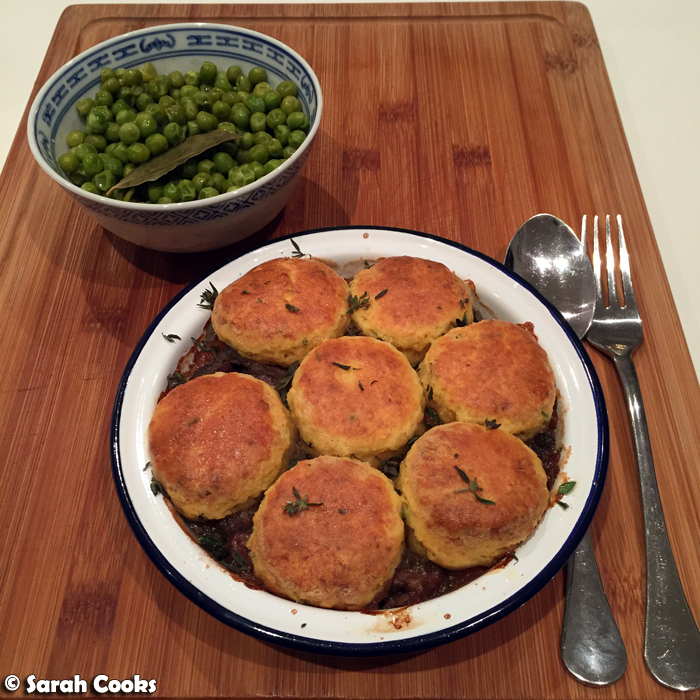 I was most excited about trying the spiced lamb stew with a goat's cheese and thyme cobbler topping - I'd seen Nigella post a picture on Instagram of the scone-stopped stew a few months before the book was released, and knew I just had to make it! The stew itself wasn't great - the volume of slow-roasted garlic cloves in the recipe made the stew overpoweringly garlicky. (So garlicky that I needed to keep the bedroom windows open all night after eating it!) However, I absolutely loved the cobbler topping, so I'd happily make them again, either on a different stew, or on the same stew just made with much less garlic. PS, I served the stew with the braised peas with mustard and vermouth from the Sides chapter - very nice. I'd happily make those peas again! I made the slow-cooked black treacle ham for a Christmas dinner (as well as the sweet potato macaroni cheese). 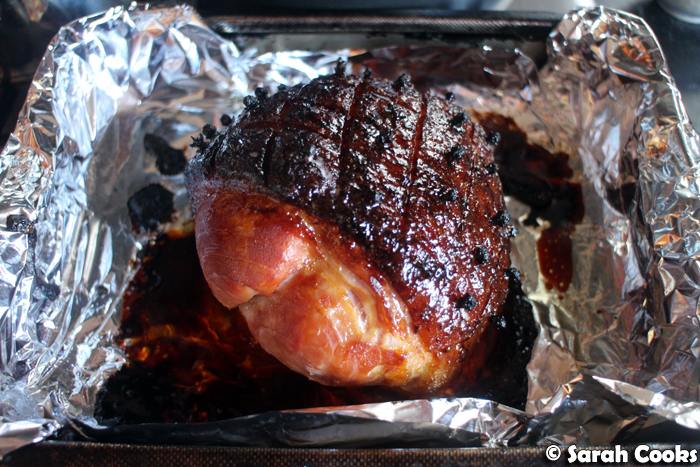 Of course, as we don't get raw ham here, I couldn't follow Nigella's slow-cooking method, but I did use her black treacle glaze on a regular ham, and it was soooo tasty! It looks quite dark in the photo, but it wasn't burnt at all, just sticky and sweet and delicious. 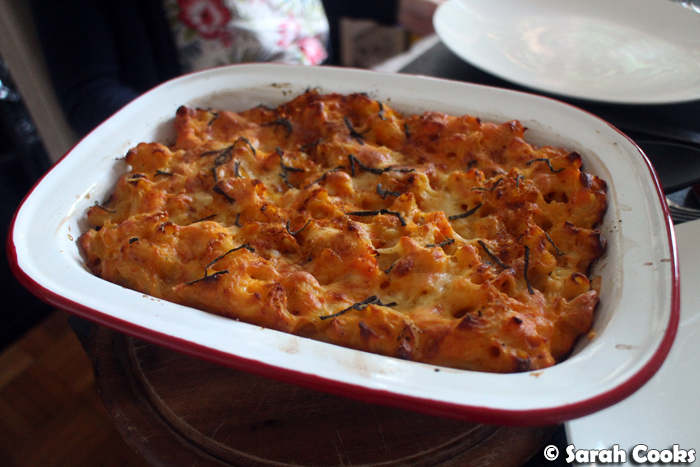 Like the sweet potato mac and cheese, the leek pasta bake was incredible! (Nigella's pasta bakes are fantastic - I also highly recommend the baked veal and ham pasta from How to Eat). The slow-cooker Korean beef and rice pot was one of the few recipes I didn't like. 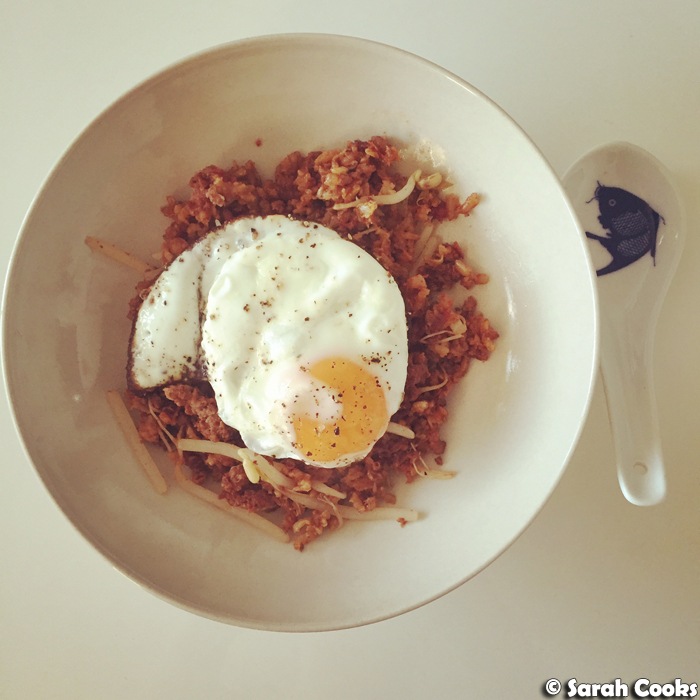 It's a shame, because the method is so easy - just put brown rice, flavourings and minced beef in a slow cooker, and let it cook until everything is tenderly cooked through. Perhaps it's the brand of gojuchang sauce that I used, but the flavours weren't great. I'll keep experimenting. From the Sides chapter, I've already mentioned the braised peas with mustard and vermouth, and the cucumber, chilli and avocado salad, but I think my favourite recipe so far would have to be the criss-cross potatoes. They're like a cross (hah!) between baked and roast potatoes, and they're quick to prepare and go with everything. And now we move onto the Sweet chapter! By this stage I was so keen to get through the recipes that we hosted a little afternoon tea so that I could make a few of the recipes at once. Woo! 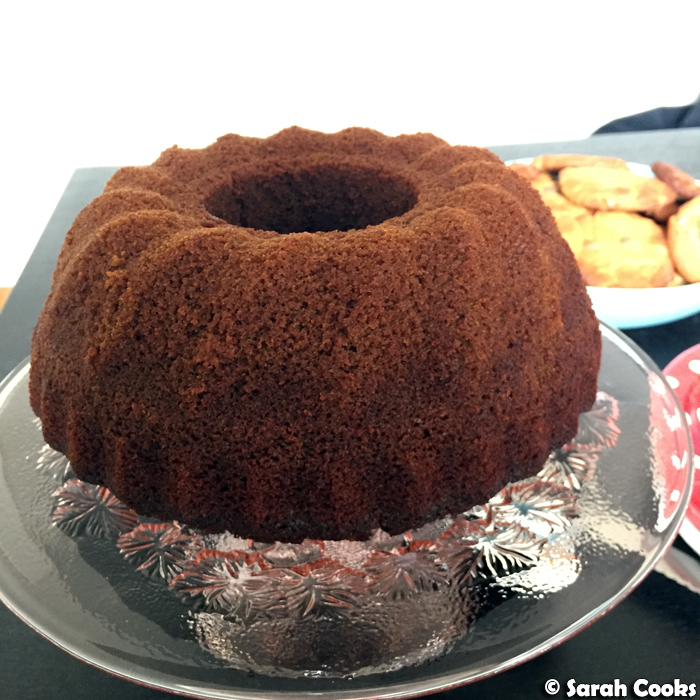 The cider and 5-spice bundt cake is essentially a gingerbread, just baked in a bundt tin, with the addition of dry cider and 5-spice powder. It's moist and spicy and just dee-licious. 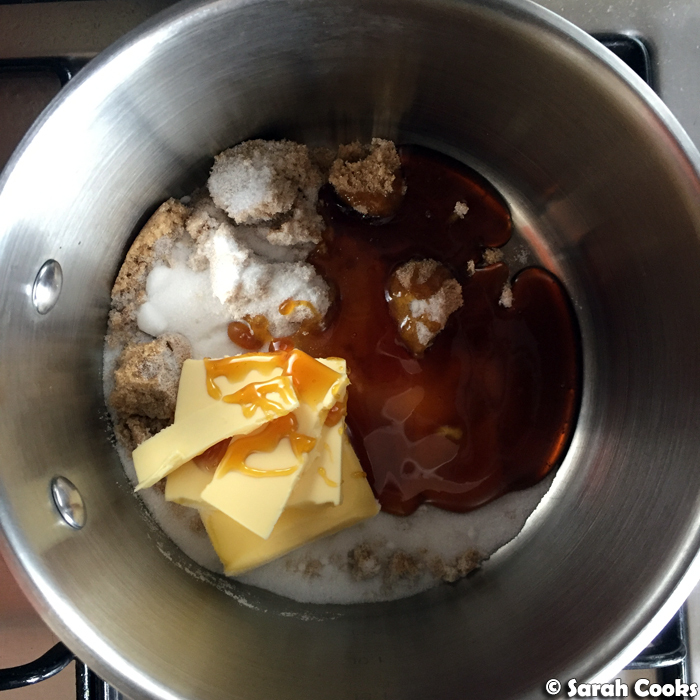 You don't need to make the smoky salted caramel sauce with it, but it is a heavenly combination. Eaten warm, with the caramel sauce and some double cream, it kinda has a sticky-date pudding vibe going on, although the cake is just as good eaten cold over the next few days. 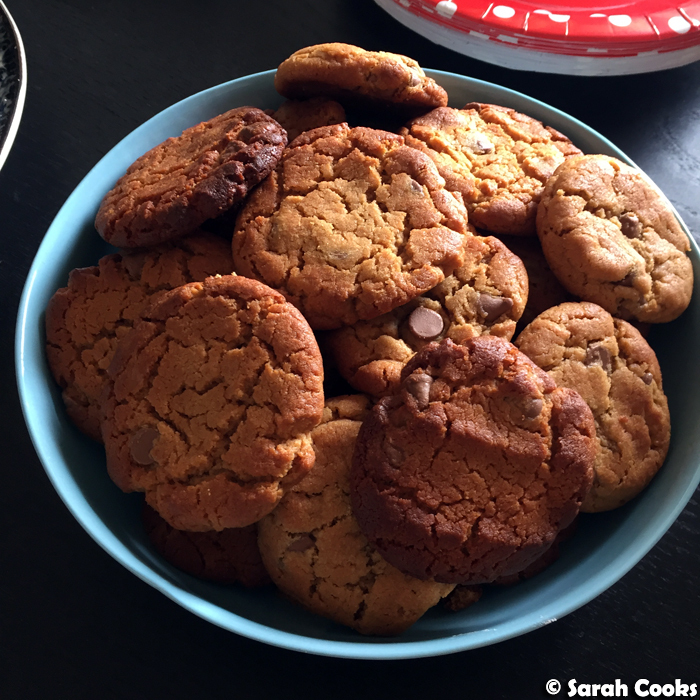 The flourless peanut butter chocolate chip cookies are essentially a version of the 3-ingredient peanut butter cookies that are all over the internet (peanut butter, sugar and egg, plus the chocolate chips, a little salt and leavening). Nigella's version is no better or worse than any of the variations I've made over the past couple of years (i.e. they're freakin' delicious). The lack of flour in these cookies makes them very soft and fragile - so make sure to handle them very gently! The nutella brownies are basically the same as those 2-ingredient Nutella brownies that stormed the internet a few years back - just nutella and eggs. 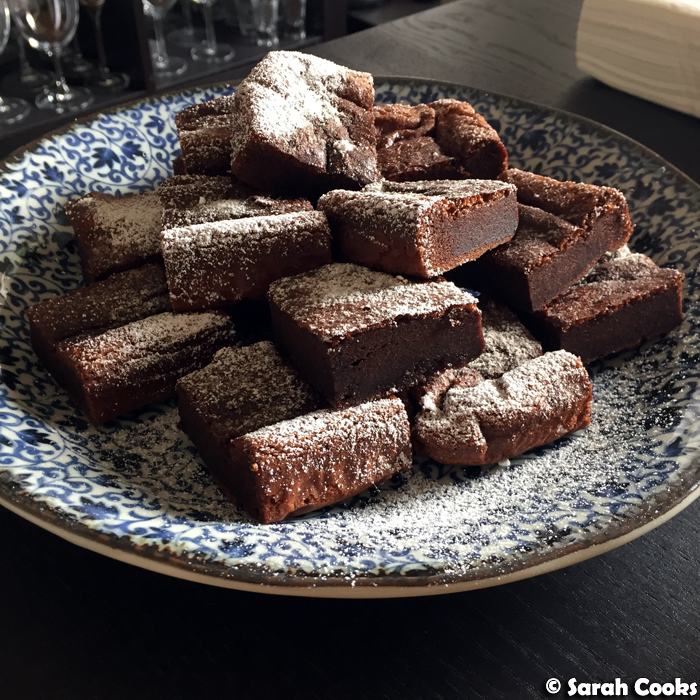 I can't say that these were great - they were kinda gluey and not richly chocolatey enough for my liking, but I'm glad I tried them, and I wanted another gluten-free option for the tea party as we had a coeliac attending. This reminds me, I don't have a go-to brownie recipe. What is your favourite brownie recipe? 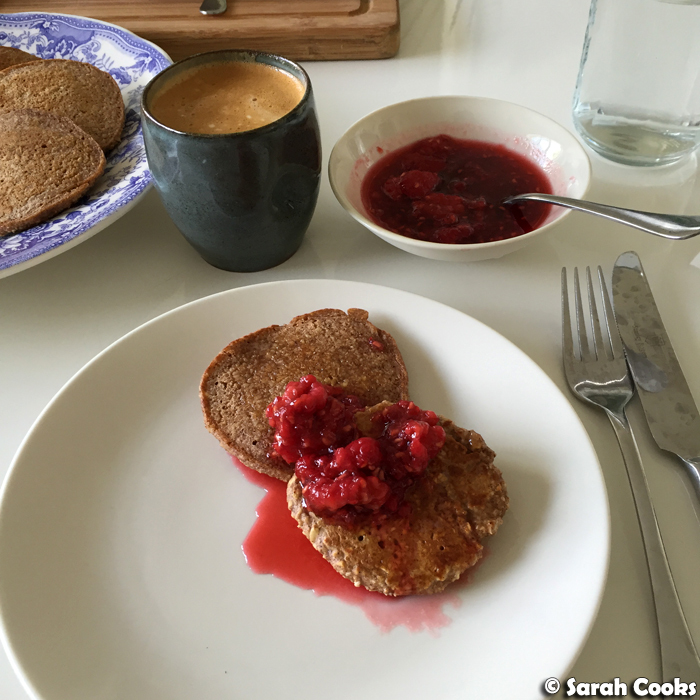 I absolutely loved the oat pancakes with raspberries and honey, although they were far too hearty and "healthy"-tasting for Sandra. I thought they were gorgeous with the honeyed raspberries, which added both sweetness and moisture. A treat of a breakfast. And that's what I've made from Simply Nigella so far! There's quite a few more on my list, but if I'd waited until I'd cooked everything I wanted, this post would never have happened! The ones I want to make next are... the chocolate chip cookie dough pots (uunnnnnngh want), the buckwheat triple chocolate cookies, and the buckwheat, banana and carrot muffins. 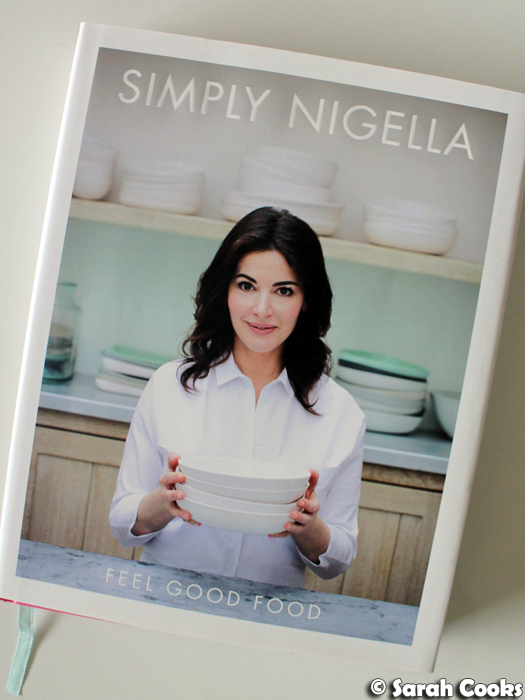 Fellow Nigella-fans - what do you think of Simply Nigella (the book and the program)? Any favourite recipes that I haven't tried yet? Did you see Nigella on her big promotional tour? I saw her speak at the Melbourne Town Hall with Jill Dupleix, and thought she was amazing! I'm tempted to make the sweet potato macaroni and cheese for dinner tonight now! Hehe you're definitely the biggest Nigella fan! It's good to see other recipes other than the avocado toast featured which seems to be the thing that journalist reviews focus on. I haven't got the book yet nor had time to flip through it so it's good to see the range of recipes. I think so! Yes, I think the journalists just focused on the simple recipes (Nigella even prefaces the avocado recipe by saying it's nothing new but that she just loves it!) which is a shame, because there's such a range of recipes in there! Oh everything looks so delicious! I have quite a few of Nigella Lawsons cookbooks and I love all of them! Thank-you lovely! 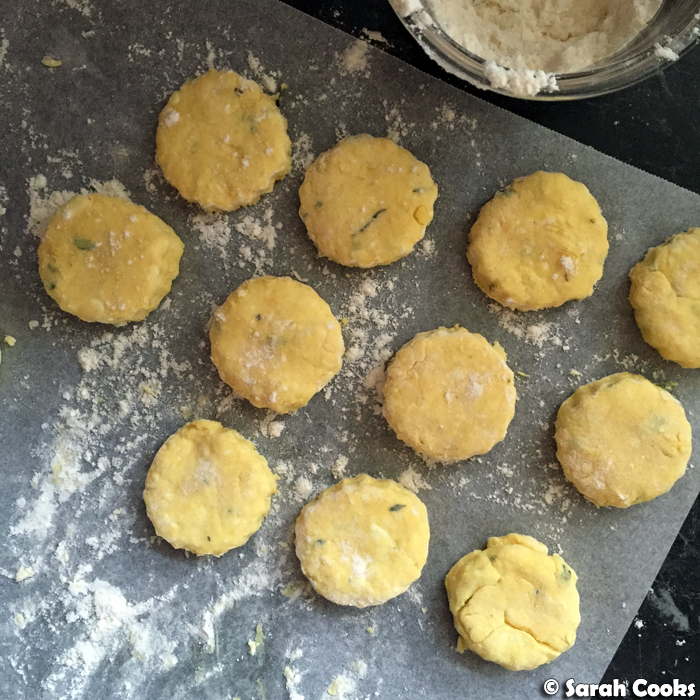 I'll put those savoury ones on my list to make next! The cookbook sounds interesting! And I love everything that you made! All the dishes are fabulous! 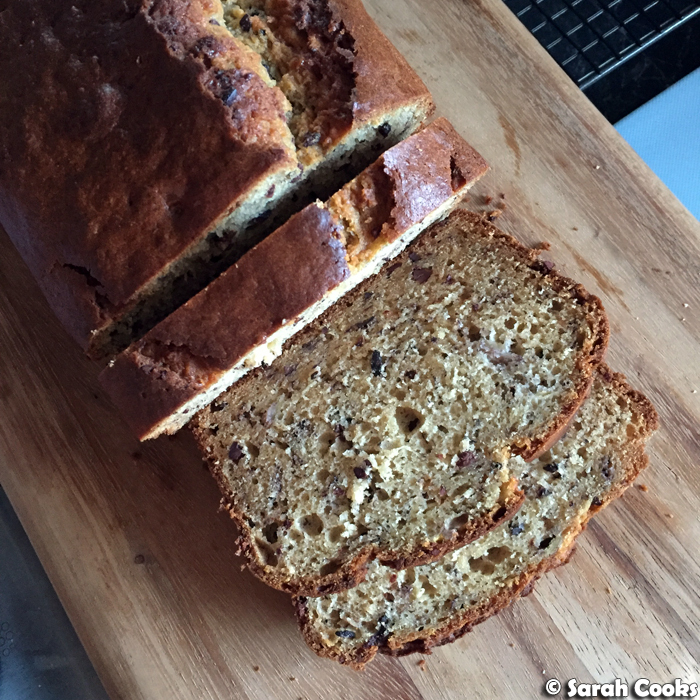 You have inspired me to stop reading and tagging the recipes and actually make something! I also saw Nigella at the Town Hall and loved her though I was a bit disappointed in the questioning. And if Nigella ever mentioned me in a comment on twitter or instagram I would have to get it blown up and framed lol. Very impressive! Totally agree the questioning wasn't great! I was disappointed, as I like Jill Dupleix and think she's a great food writer in her own right! She just seemed overawed at Nigella and that seemed to get in the way of decent questioning. A shame!